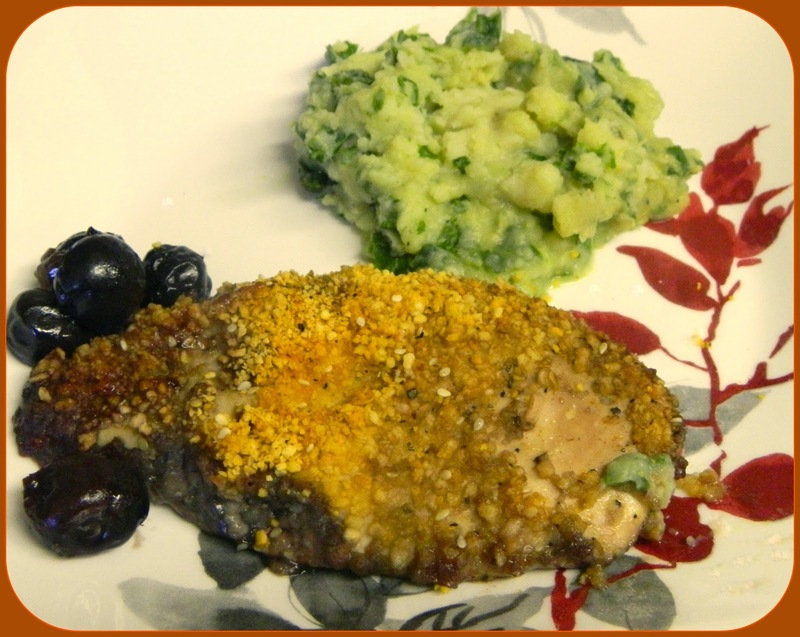 This week, Peggy has chosen Blueberry Chicken with Crispy Bread Crumbs found on page 155 in Weeknight Wonders. Each recipe brings me closer to Ellie and her wonderful recipes. Blueberries don't make for a good photo compared to peaches and peaches and New York don't go together well, in the winter. Most of us are waiting for the warm weather and the peaches . We had a lovely warm day and it is back to below freezing. I made this a few weeks ago since this is a super busy time of the year with Passover coming in a few short weeks and so much to do in preparation. I hate to say, I don't remember too much about it other than we liked the chicken, but this is the case. I am not sure if the blueberries were a good substitution. To see if anyone did find peaches and what they did with this chicken recipe, check out Eating With Ellie. Blueberries sound good. Do you not like peaches? I used frozen ones and they did fine. Anyway this recipe was just so so for me. Oh, blueberries would be a good choice with this, I think I would like to try making it with blueberries as well...you make a good case for them!